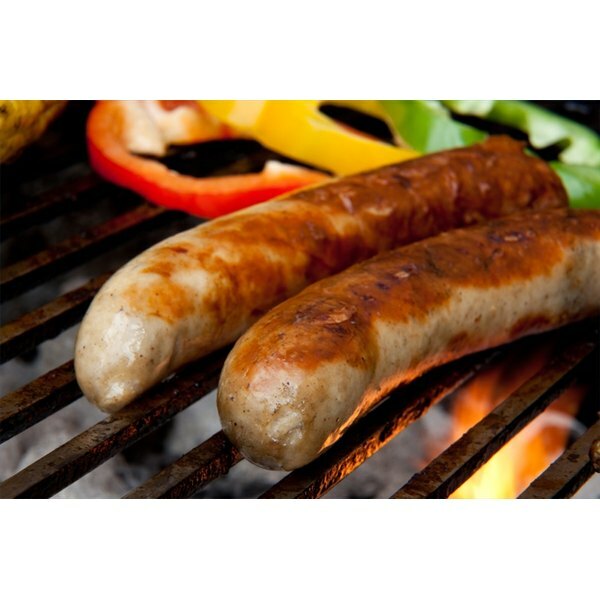 Bratwurst is a sausage that is German in origin, from the word brat (meaning finely chopped meat) and wurst (meaning sausage). Traditionally it is made from veal, pork, beef or a combination of those meats, although chicken, turkey and even vegetarian options are available. One variant is venison bratwurst. 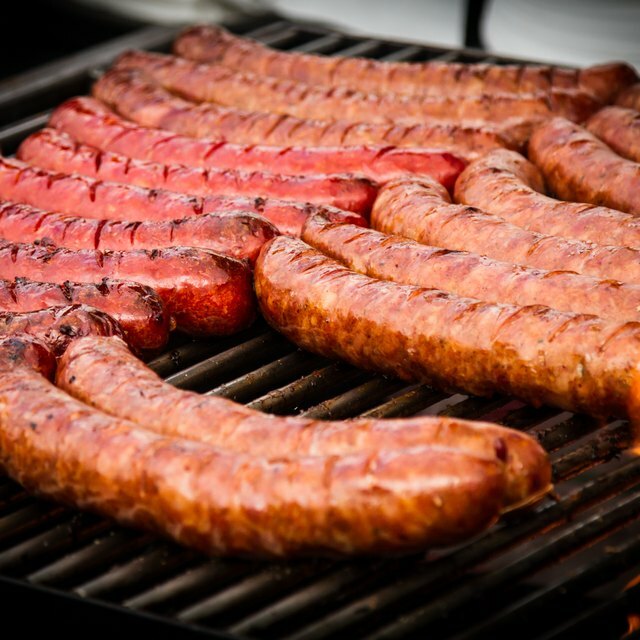 Because of its lower fat content, venison is often mixed with another meat, such as pork, when used in a sausage recipe. Soak casings in water for at least two hours. After soaking, rinse them by placing one end of the casing over the tap and allowing the water to run through. Mix together the salt, sugar, caraway seed, ground sage, ground allspice, marjoram and pepper in one bowl and set aside. Combine the ground pork, ground beef, onion and beer in a large bowl. Mix by hand until all ingredients are thoroughly combined. Add the dry seasonings to the meat mixture slowly, making sure they are completely mixed in. Place one end of a casing over the stuffing tube of the grinder and hold it there. Add meat to the grinder and turn it on. When the stuffing tube fills with air, turn off the grinder and squeeze the air out of the casing. Tie it off at the end. Push the meat steadily through the grinder, allowing it to fill the casing. When the casing is filled, tie it off and repeat the steps until all the meat is gone. The alcohol content will dissipate during cooking, but if you prefer to use no alcohol, substitute 2/3 cup of milk for the beer. The number of casings needed depends on how large they are. This can vary, depending on the butcher. This recipe is easier if you have an additional person to help --- one person can push the meat through the grinder while the other holds the casing and ties it off. For a spicier variant, add 2 tsp crushed red pepper to Step 2.